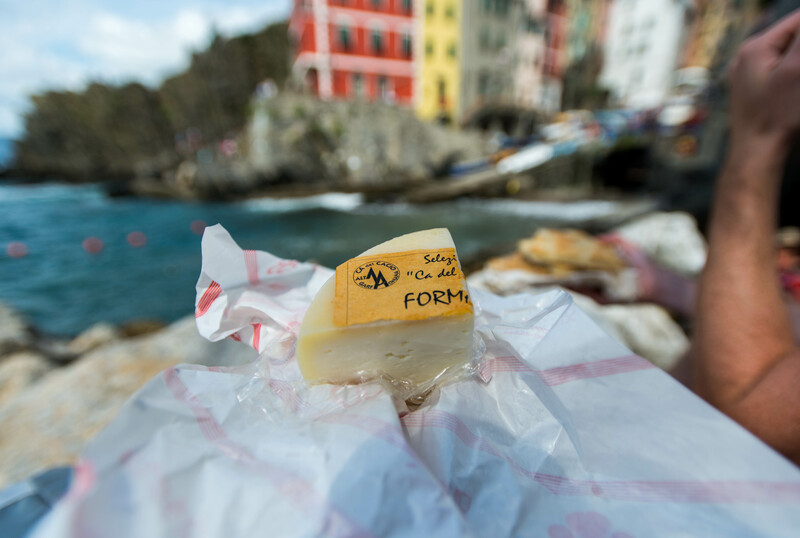 The five fishing villages of Cinque Terre were remote yet overrun with tourists all at the same time. 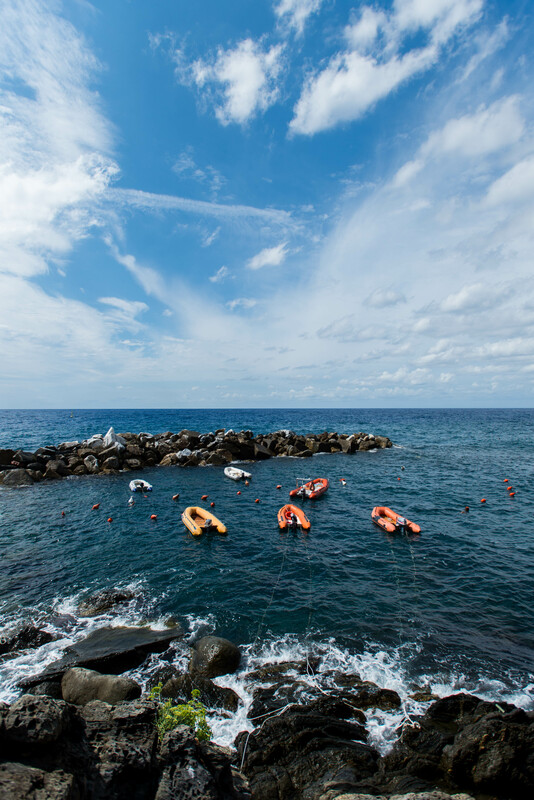 We spent a wonderful two days exploring the quaint villages that hugged the rugged terrain of northern Italian coastline. Our first stop unintentionally became Monterroso when the ferry we hopped on at La Spezia was not able to dock near any of the smaller villages. 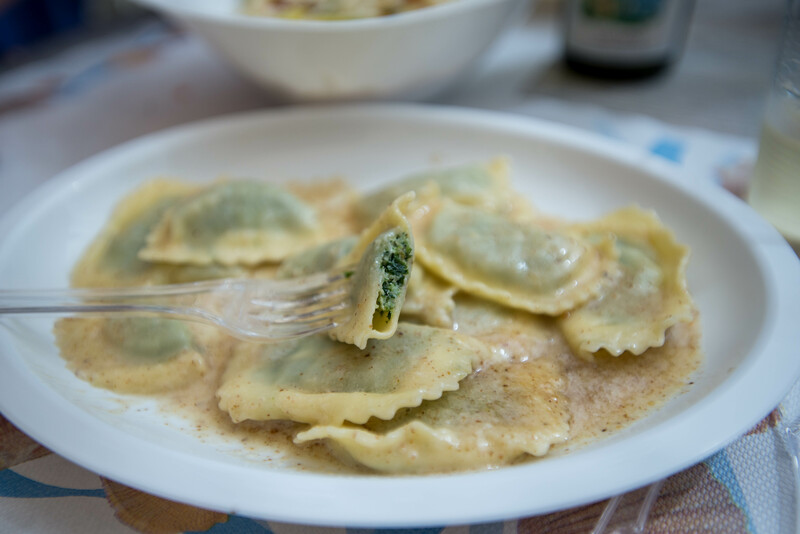 We hopped off the ferry in the biggest of the five villages in Cinque Terre right around lunch time so we made Gastronomia San Martino our first stop. 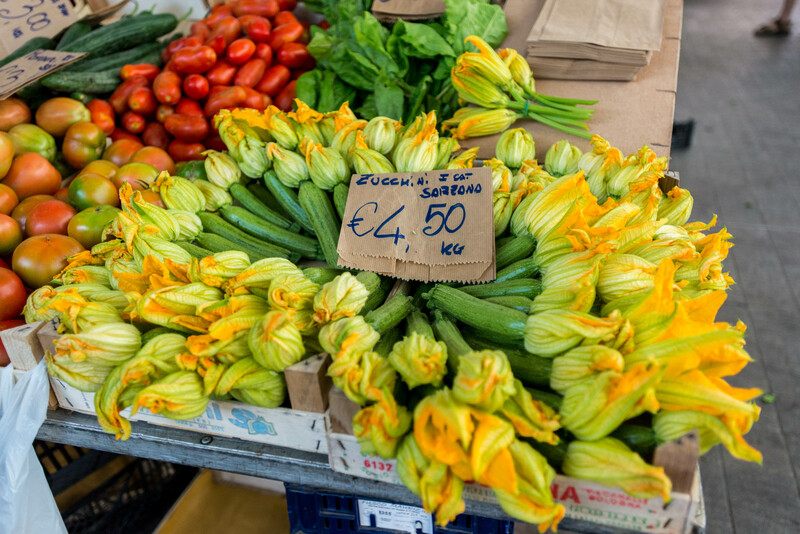 It took us a while to find it in the winding and sometimes unmarked cobble stone streets of Monterosso so we were starving when we finally found Gastronomia San Martino. 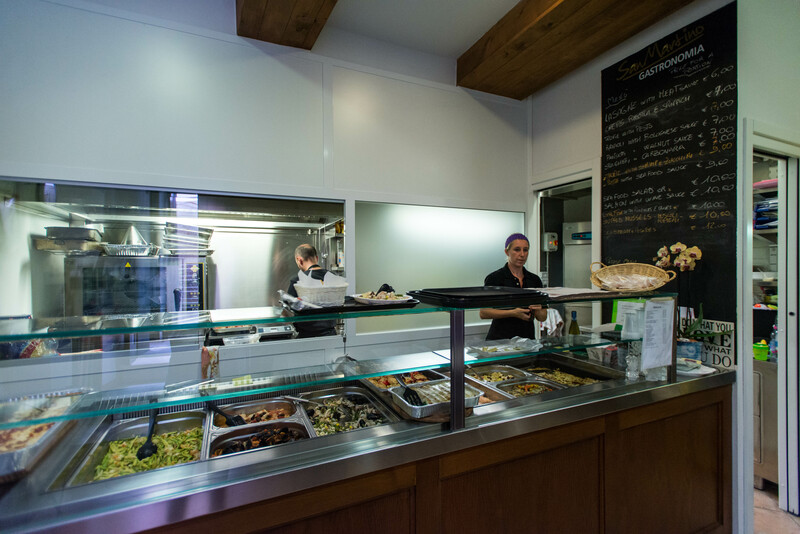 This little casual pasta counter service shop was the perfect fit for a quick bite to eat. 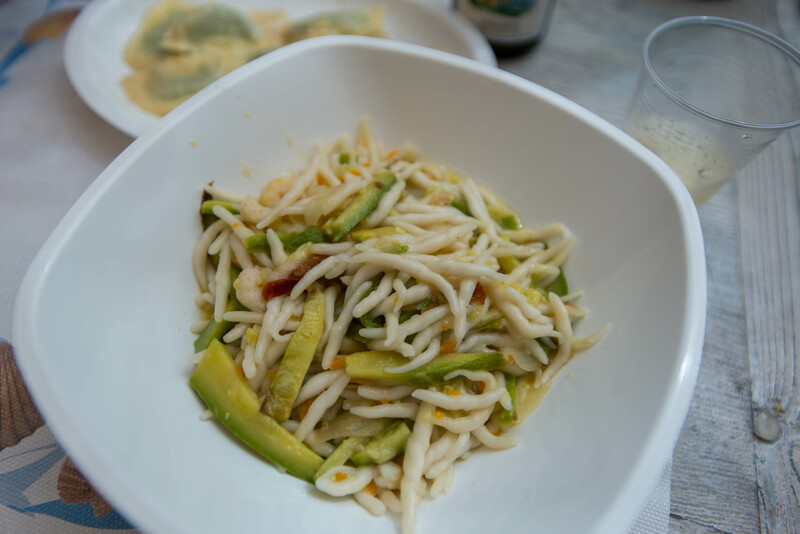 Daily selection of pastas and seafood salads and other savory dishes were all displayed so no need to know any Italian. 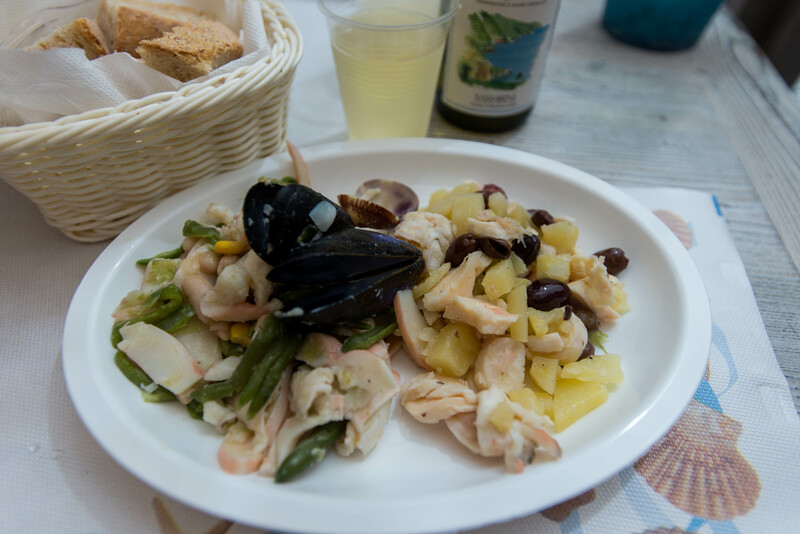 We pointed and nodded our way through our food order and found ourselves with three bountiful plates of mixed seafood salad with green beans and octopus with olives and potatoes, fresh squash and shrimp pasta and plump spinach ravioli with brown butter sauce. 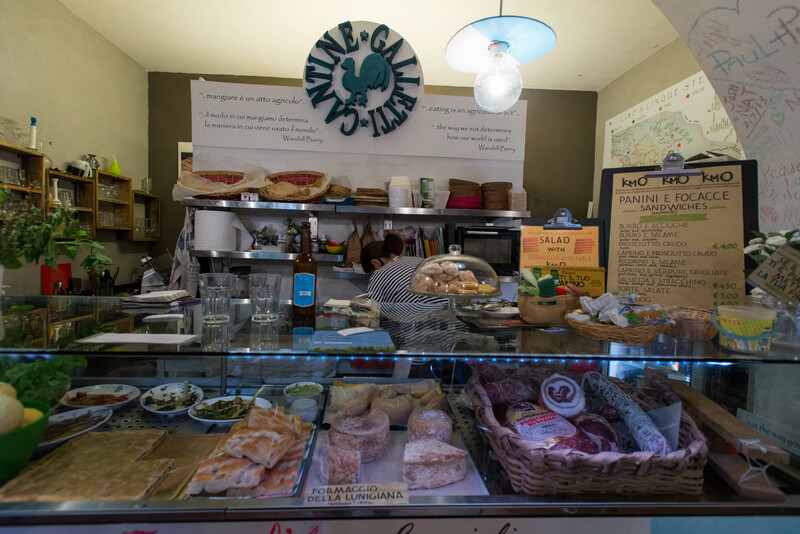 We happily devoured our carb heavy meal with a half bottle of chilled white wine from the deli’s fridge. 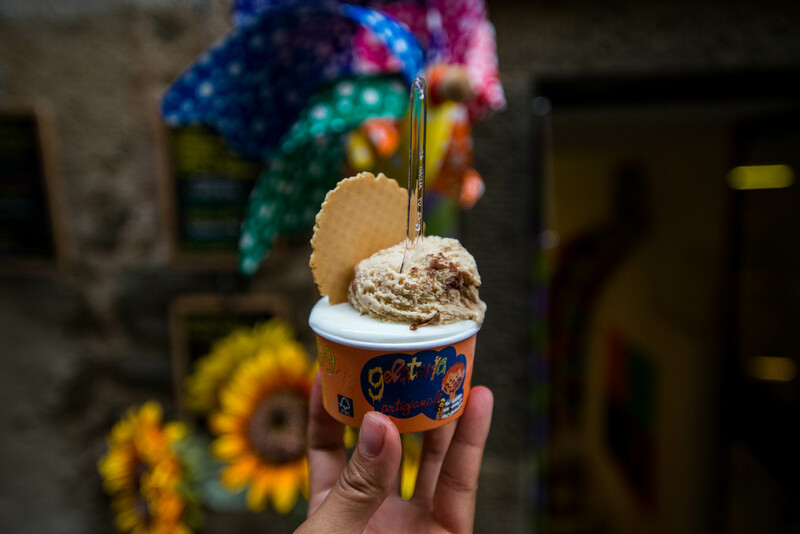 And for sweets, we stopped by a seaside gelato shop for some fragrant and refreshing lemon gelato before hitting the beach for the afternoon. And as always, in a cup with a cone on top. We started our second day of exploring Cinque Terre with Riomaggiore, the southern most village via the train this time. 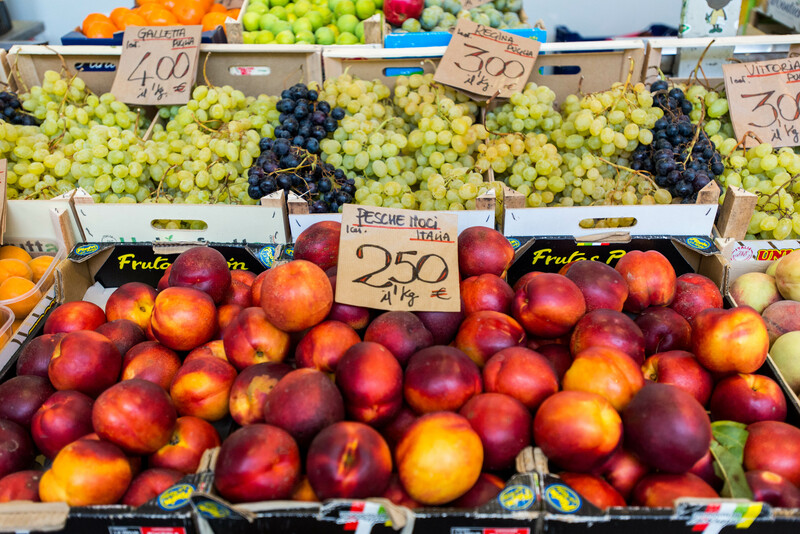 We had spent the morning roaming the farmers market in La Spezia right outside of our Airbnb so it was already nearly noon by the time we made it to Riomaggiore. 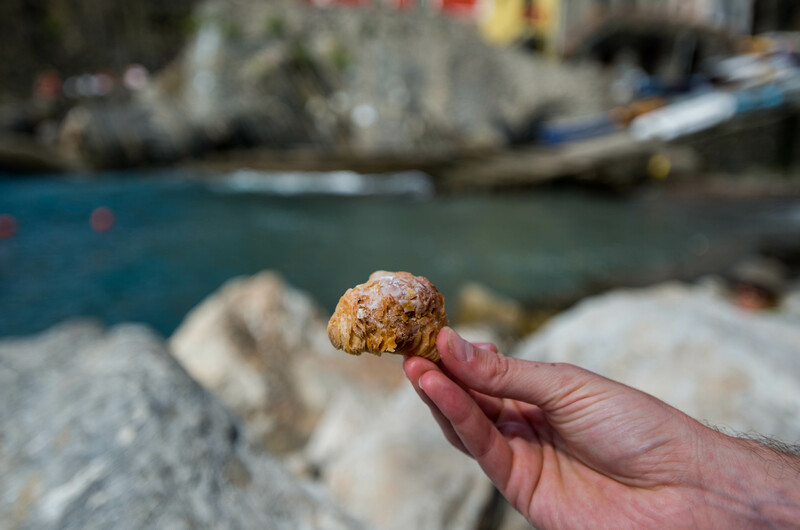 We made a quick stop by Tutti Fritti before heading to the water. This fry shop specializes in, you guessed it, fried goodies! 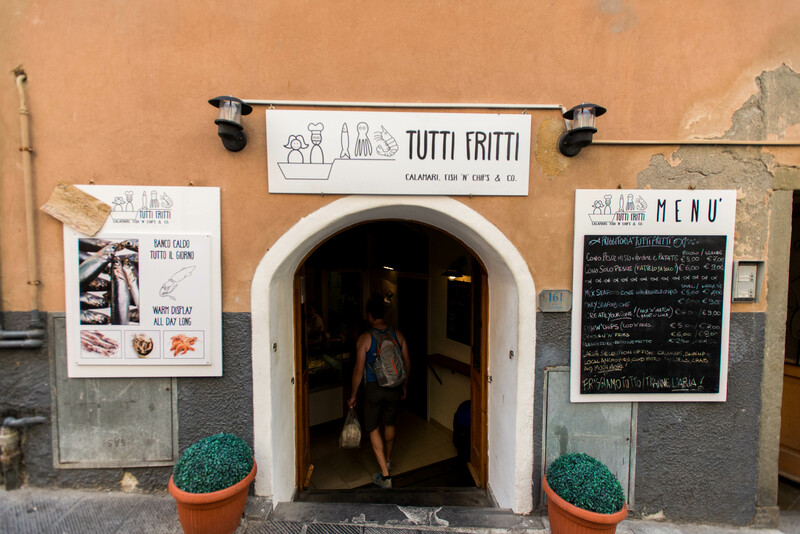 Featuring primarily fresh fried seafood with a few vegetables thrown in, this shop was perfect for grabbing a seafood filled cone that everyone seems to be enjoying throughout Cinque Terre. The best part is that you can pick and choose which of the fried seafood you want in the cone. It took a little bit of aerobatics and careful maneuvering across giant boulders by the water before we found a comfortable spot in the shade to enjoy our lunch. Just look at that beautiful view! 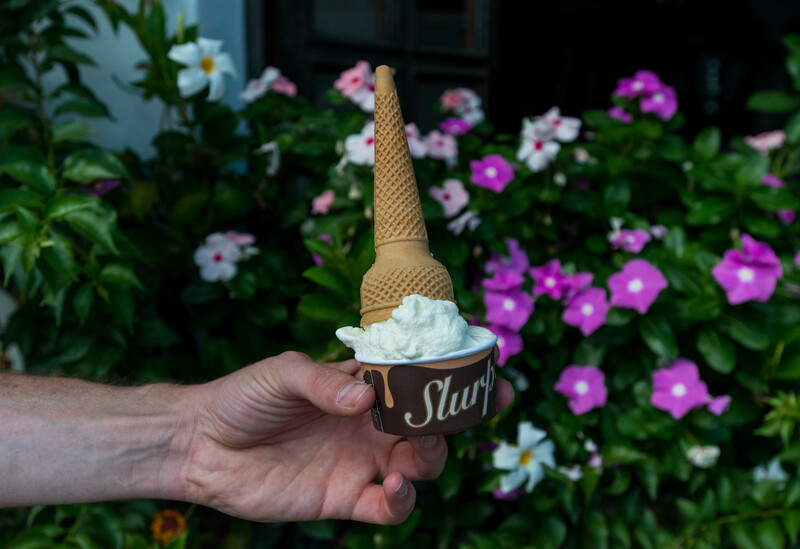 We didn’t waste much time digging into our cone filled with mixed seafood, taking extreme pleasure in the plump fried sardines and anchovies. 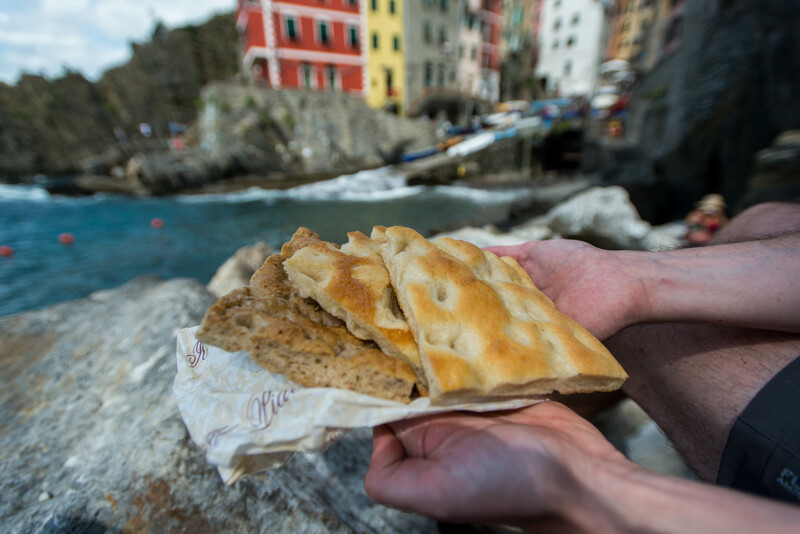 We supplemented our picnic with fresh focaccia bread, both classic and whole wheat, fresh local cheese and plump Italian plums we picked up in La Spezia. 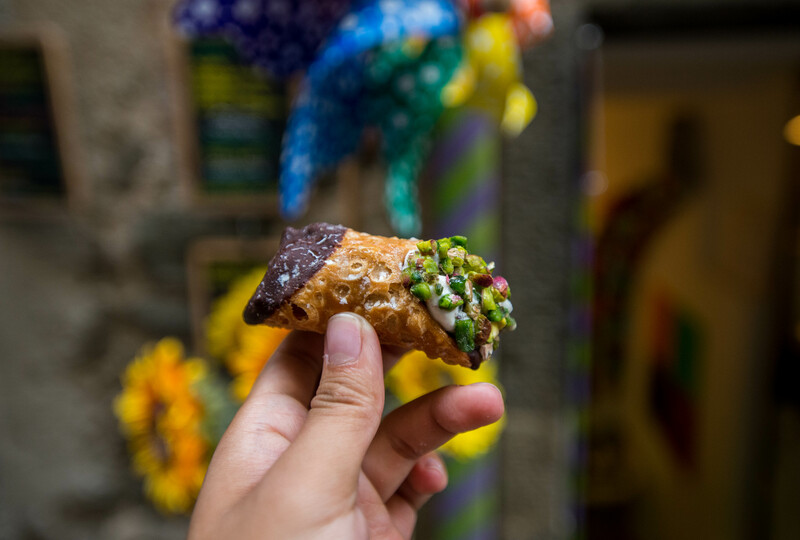 And we topped off this beautiful picnic with a few Italian sweets. 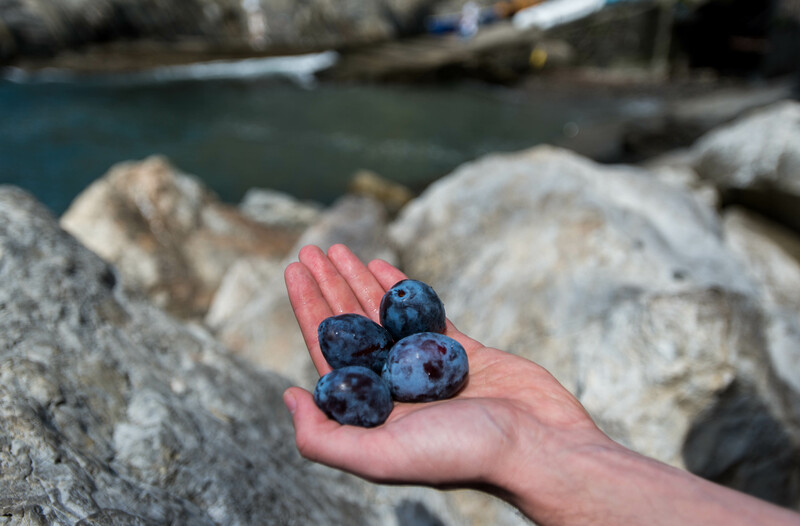 After lunch, we continued our trek to Manarola and Corniglia. 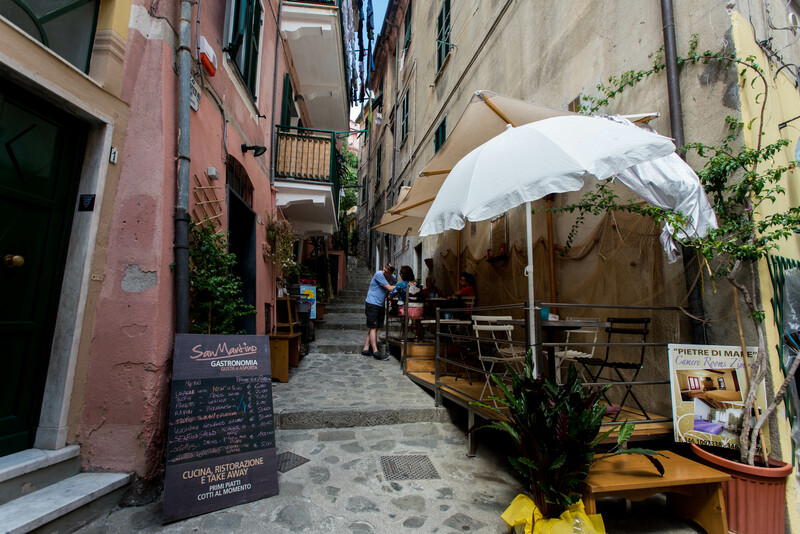 Even though we had chickened out by taking the train from town to town, by the time we reached Corniglia, we were well ready for another break. 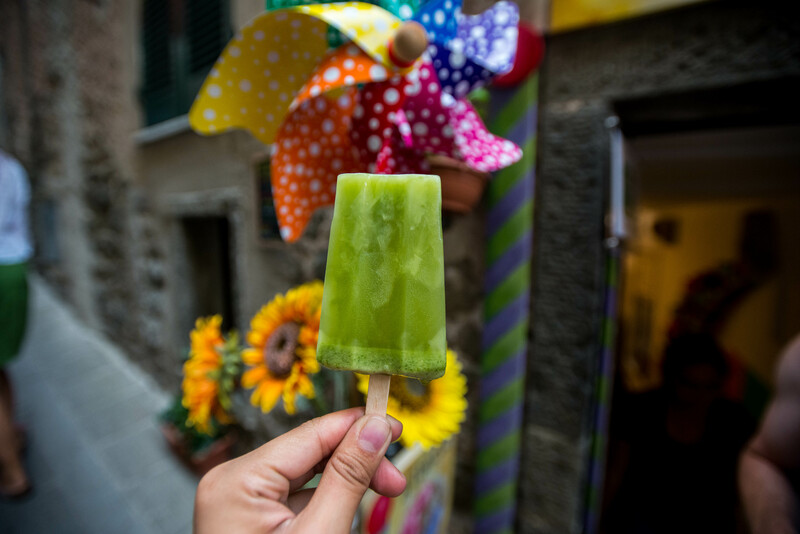 Lime popsicle, ice cream canoli and gelato sounded just about right for the occasion. 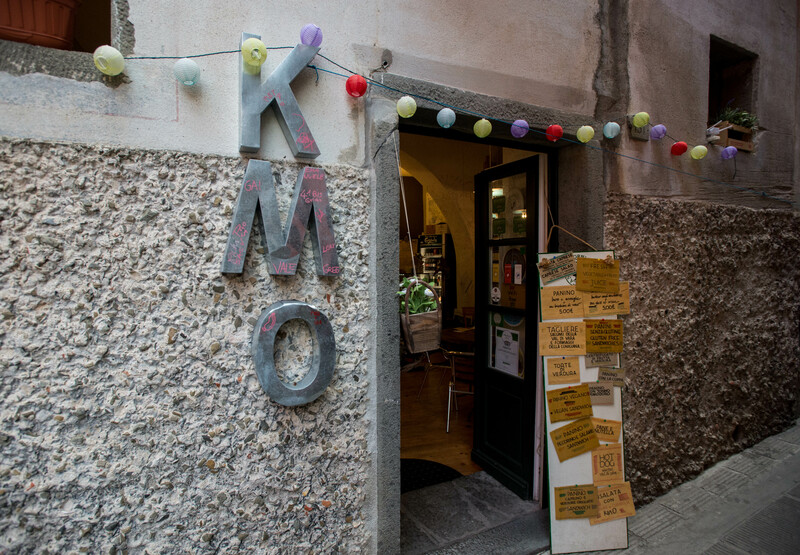 And just across the cobble stoned street from the ice cream shop is a small local sandwich shop called KM0. 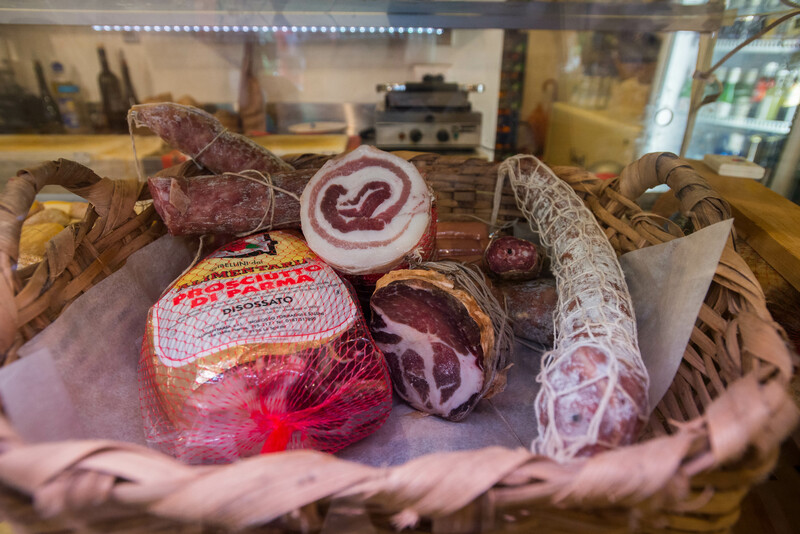 KM0 is focused on sourcing local meats and cheeses and other seasonal ingredients so this was a double win. 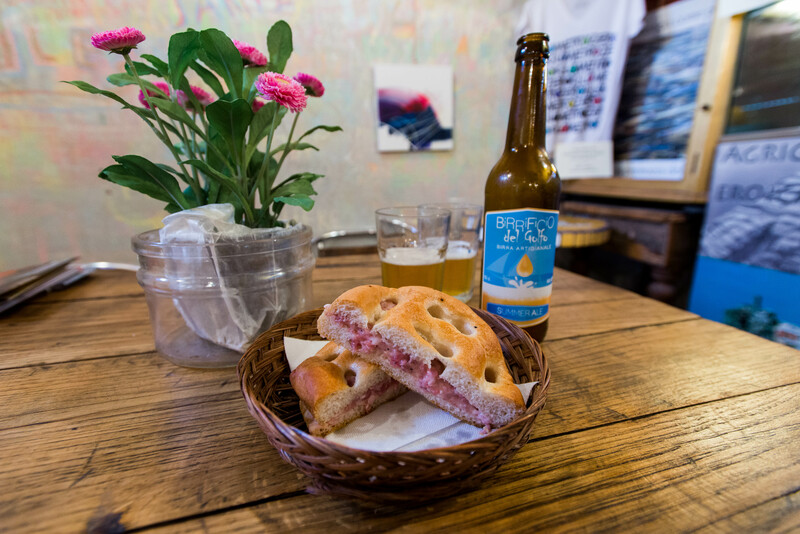 Even though we had already eaten lunch, I couldn’t resist ordering us a sausage and cheese sandwich on focaccia sandwich to share. It was perfect with a cold local brew. 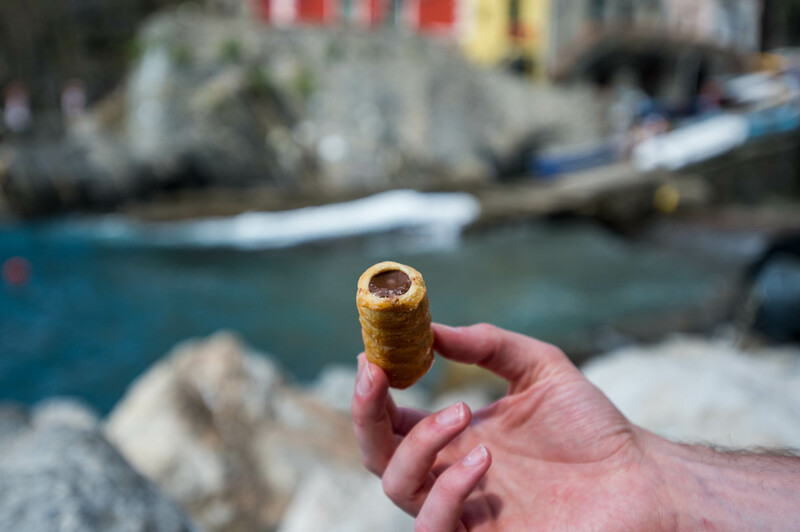 So there you have it, our highlights from Cinque Terre. 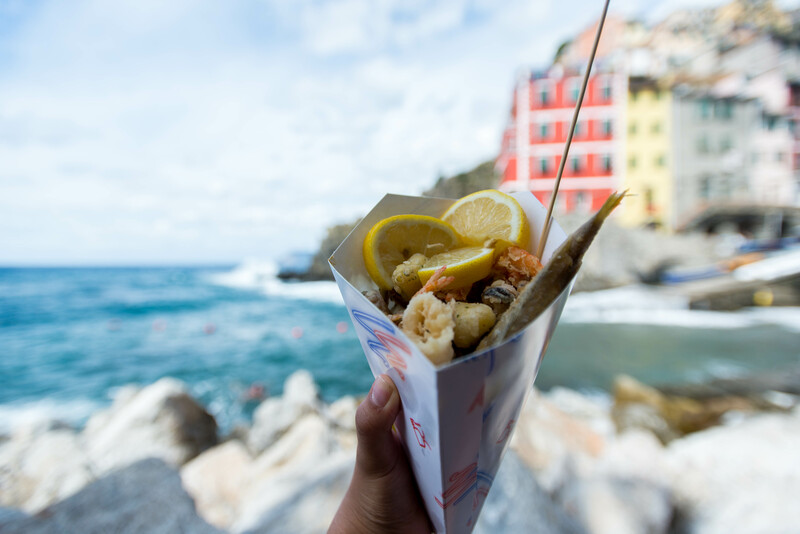 Casual bites featuring local ingredients and breathtaking views, there is no better way to explore the five quaint fishing villages of the Italian coast than nibbling our way up and down the coast.